Vice President of Backbone Operations, BP America Inc.
Mike is currently the Vice President, Global Backbone Operations within Upstream for BP Inc. Prior to this appointment, he was the President and CEO for BP Solar where he was a business unit leader with in the Alternative Energy Division of BP since joining the business from the semiconductor industry in 2007. Mike is currently responsible for delivering an integrated “common” solution to all geographic regions producing oil and gas to ensure consistent methods, processes and practices are employed. 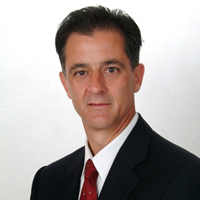 Mike brings more than 25 years’ experience in Operations of high volume semiconductor and consumer related products. As President of BP Solar, he managed a global company generating revenue greater than $1.3B. The scope consisted of product development through direct/indirect manufacturing and Sales via a combination of direct and utility scale project development/delivery. Prior to BP, Mike was President of Amkor Technology, Philippines, Inc. for 6 years. Amkor, Philippines is a high volume operation providing complex semiconductor packaging and turnkey solutions through focused operational performance delivering a revenue stream greater than $800M. Amkor Technology, Inc. is a $2.8B company based in Phoenix, AZ. Mike oversaw four manufacturing locations which employed over 10,000 employees. Prior to joining Amkor, Mike was employed for 13 years at Compaq Computer Corporation in Houston, Texas where he held a number of Senior Director positions. Mike holds a Bachelor and Master degree’s in Materials Science (Metallurgy) from The Pennsylvania State University and a MBA from the University of St. Thomas.